Motorola might (almost) be the last company in the world preparing an iPhone rival, but they’re doing it in style and naming the device “Atila”. This handset was recently leaked on the Internet, so now we can check out its specs and picture, but surely things will change as more rumours surface. We’re talking about a touch tablet-like device with WCDMA 850/1900/2100 support plus HSDPA 7.2 Mbps and HSUPA 1.8 Mbps connectivity. Also, Motorola Atila will use GSM 850/900/1800/1900, EDGE Class 12, GPRS Class 12 and WiFi 802.11 b/g to connect from anywhere in the world. It’s 80 x 109 x 13.75 mm handset, with a 2.8″ QVGA TFT 240 x 320 screen and a 1130 mAh battery. 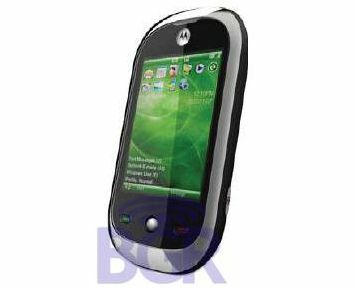 The specs list ends with a Qualcomm 7201A chipset, an internal antenna and Windows Mobile 6.1 Professional. We’d surely like to see GPS and a hot interface on that list, but who knows, as this might be the first of a long series of Atila-related rumours.